Five years ago today I married the man of my dreams. 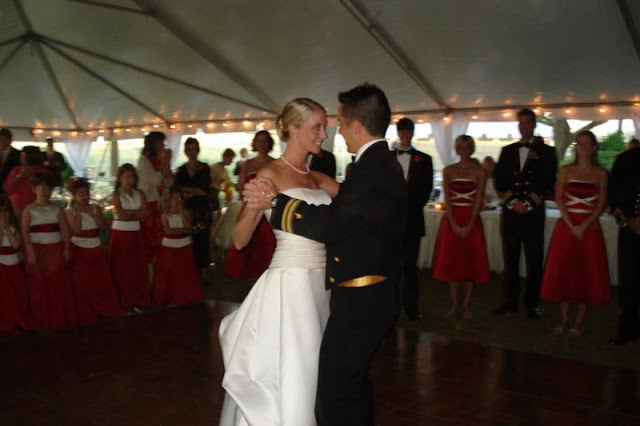 The past five years, on our anniversary, we have put on our wedding clothes, Joe in his uniform and me in my dress, and danced the waltz to Moon River as we did on October 14, 2006. It has been an incredible five years. We are blessed beyond measure. God is so good. Lindsey- this is so sweet. 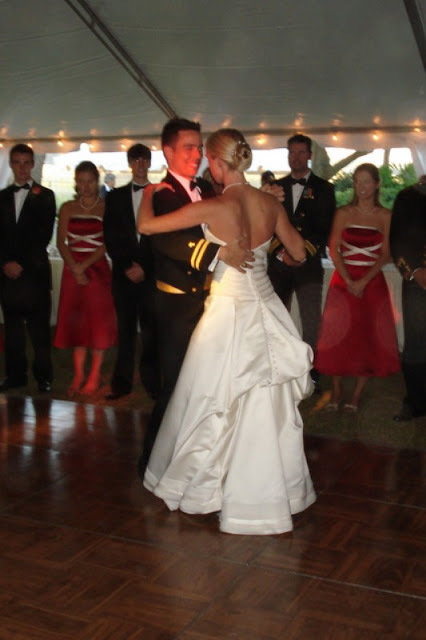 I love that ya'll wear your wedding clothes and dance every year on your anniversary- and that you take a picture of it. Happy anniversary to you and Joe! Five years already?!?! It seems like yesterday I had the honor of standing up there with you. I love you and your beatiful family! Happy Anniversary!